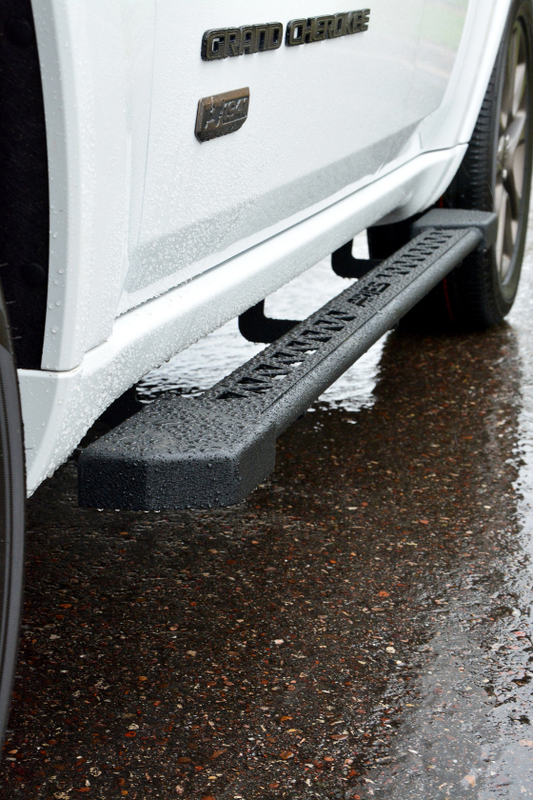 Eau Claire, WI -- June 5, 2017 -- ARIES, a fast-paced marketer and innovator of truck, Jeep, SUV and CUV accessories, released a new side step product last year: Jeep rocker steps. 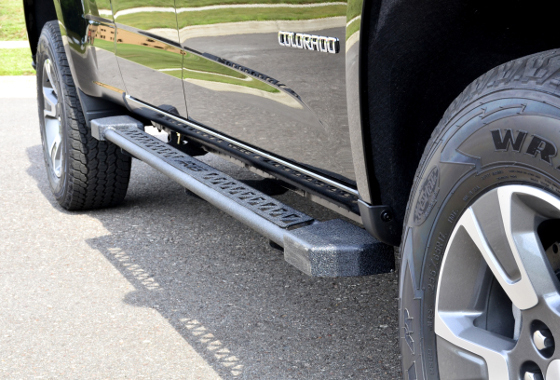 We are excited to share that these off-road-style running boards / rocker protectors are now available for a growing number of pickup trucks and SUVs. Rocker steps have proven themselves with great success since their release in the 2016 ARIES catalog. They have been featured in a number of Jeep JK builds, including our Jeep Wrangler for SEMA, our Unlimited Rubicon 'Sandtrap' for the Easter Jeep Safari in Moab and in several builds by our Team ARIES Pro Builders. 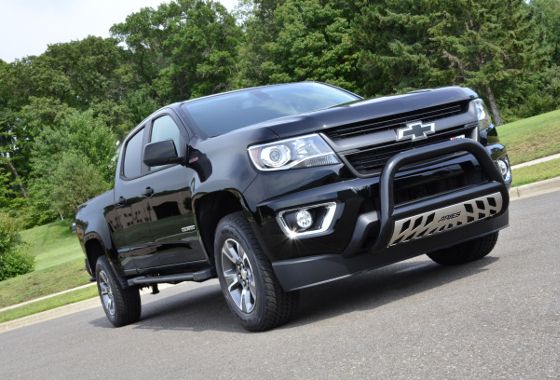 With the success we've seen from Jeep rocker steps, we decided to expand the offering to include applications for popular pickup trucks and SUVs, particularly those savvy to the off-road trails. 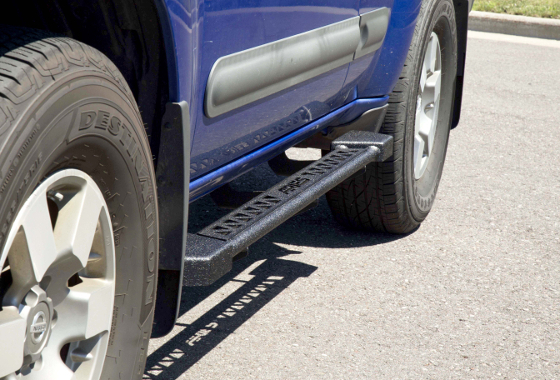 Currently, rocker steps are available for the Chevy Colorado and GMC Canyon, Chevy Silverado and GMC Sierra, Ram 1500, 2500 and 3500, Ford F150, F250 and F350, the Nissan Frontier, Titan and Titan XD, Toyota Tacoma and Tundra, as well as the Nissan Xterra, Toyota 4Runner and Jeep Grand Cherokee. 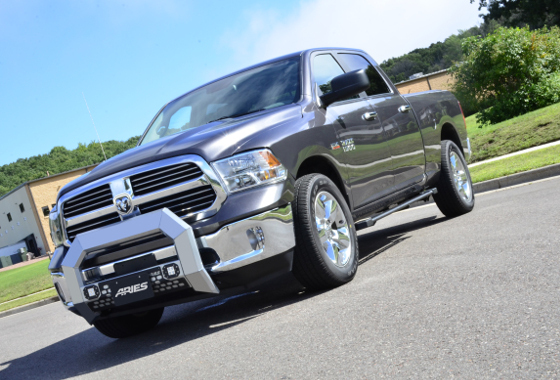 This brings the total to 74 applications, including variations in body style. And this number continues to grow. We will soon be adding applications for the Jeep Wrangler TJ. To find a specific application, use the Vehicle Lookup at ariesautomotive.com or go to our application guides page. 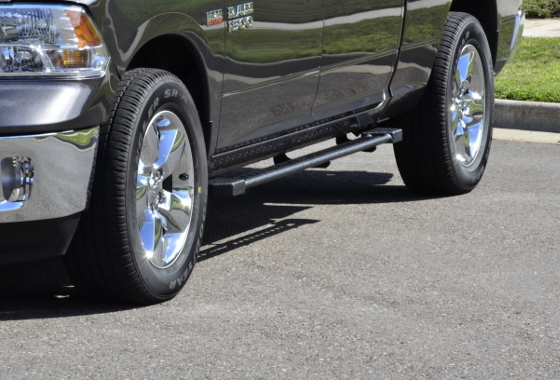 For each of these new applications, ARIES rocker steps continue to offer the perfect combination of running board functionality and rocker guard protection. 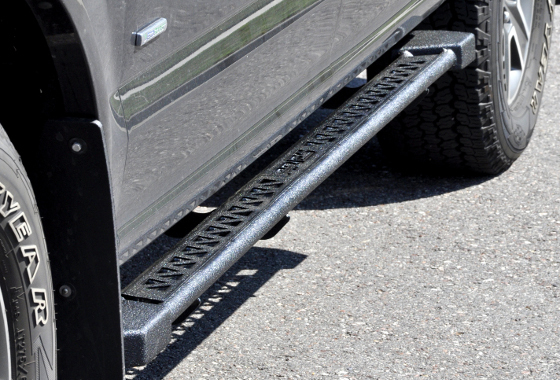 Their all-steel construction, welded mounting brackets and highly durable textured black powder coat finish make them a tough, reliable addition to any off-road-style truck, Jeep or SUV. To see ARIES rocker steps in action on the trails of Moab or to become an ARIES dealer, click here. About CURT Group: CURT Group is a leading sales, marketing, engineering and distribution company of towing products and truck accessories for all types of vehicles, from passenger cars to commercial trucks. Our family of brands includes CURT, ARIES, LUVERNE Truck Equipment and RETRAC. We are a team of more than 1,000 associates world-wide, with manufacturing plants in Wisconsin, South Dakota and the Philippines, and 10 regional warehouses across the United States and Canada. We stand for EXCELLENCE in our products and our associates. We aspire to be the industry LEADER by recognizing that the customer is KING and our associates are our greatest ASSET.